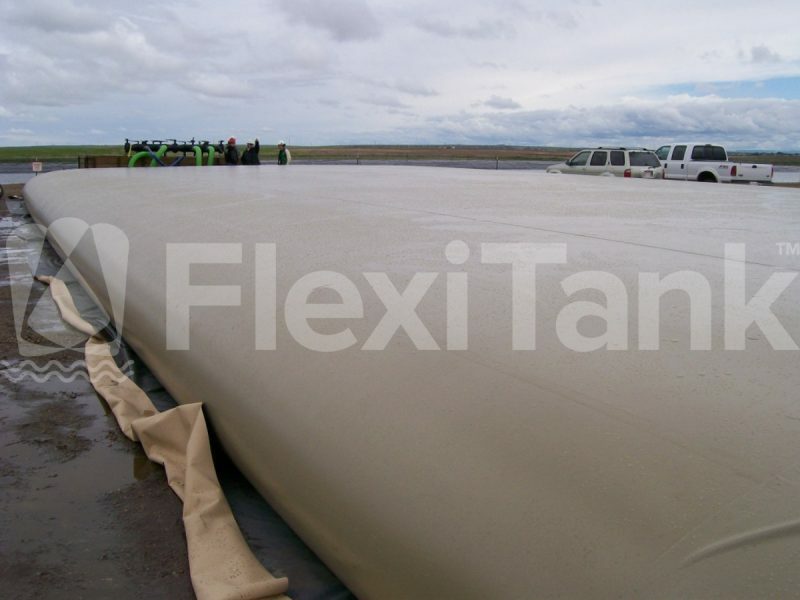 With the increased interest from the public around the role of fracking, Flexitank collapsible water frac pillow tanks are making this task a little easier on the environment. Since most frac tank jobs require millions of litres of water (that is typically delivered by trucks making hundreds of trips) the carbon footprint and cost of transportation can be prohibitive. 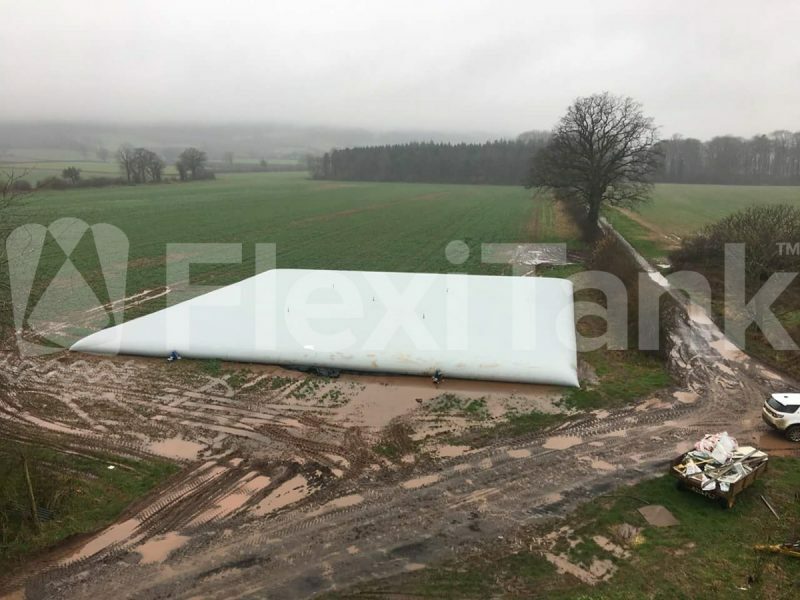 In addition, large, heavy, expensive steel storage tanks are often used which, in turn, can damage the ground they sit on and be as costly to remove as they were to purchase. Steel tanks can also have a long wait time – from purchase to delivery – depending on the inventory available which can hold up well site exploration and development. 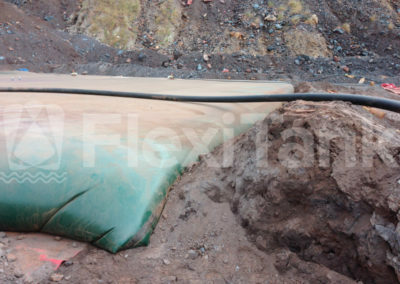 To deliver a solution to this multitude of problems, Flexitank have released a new tool that makes fluid storage simple and cost-effective for hydraulic fracturing. 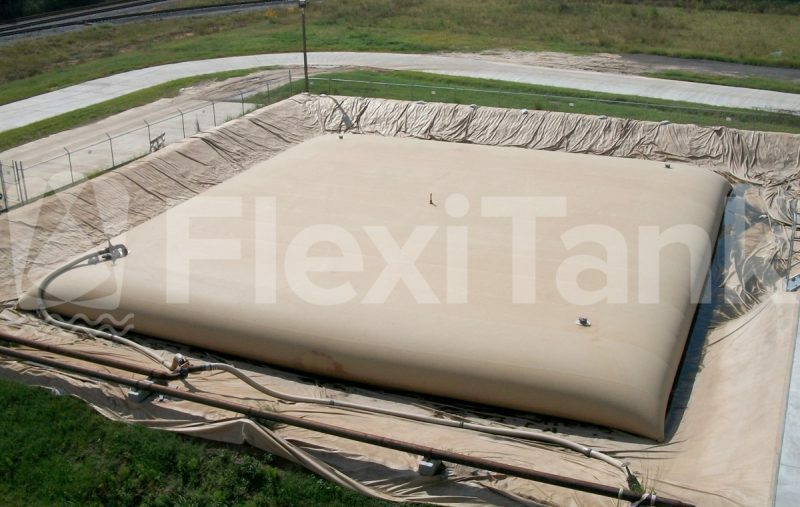 Flexitank collapsible water frac pillow tank range is a collapsible pillow water tank designed specifically for oil and gas exploration and development. 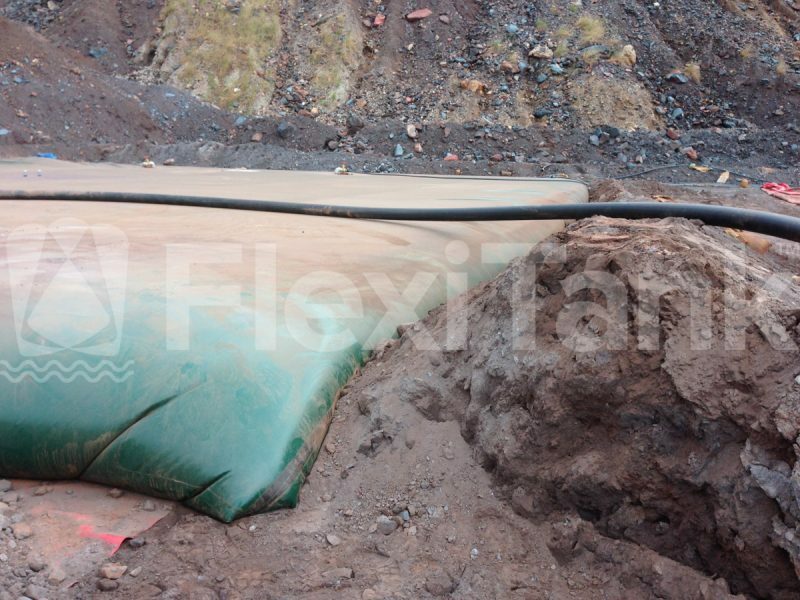 The Flexitank fracturing tank is easy to set-up and can be used immediately with almost no site preparation required. 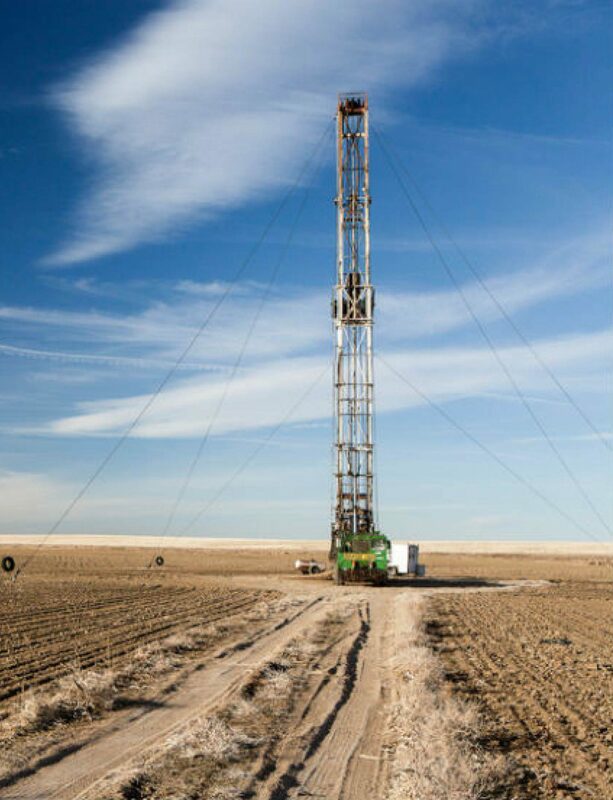 The frac tanks are lightweight, fully collapsible, environmentally-friendly and don’t damage the ground beneath them. One semi-truck can transport 18 tanks with a combined storage capacity of an astounding 4,500,000 litres (4500m3 | 1,188,774 USG | 28,125 BBLs). It would take 57 trucks to transport the same storage capacity in 500 BBL steel tanks or 228 trips on and off site. 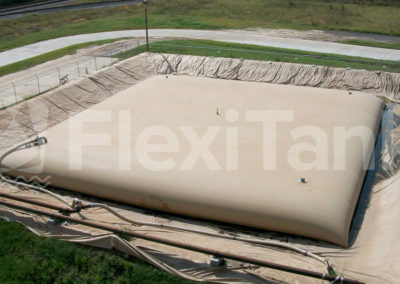 One individual Flexitank Frac Tank can store 250,000 litres (250m3 | 66,043 USG | 1563 BBLs (US). In a day, using a manifold system, multiple tanks can be set-up to provide whatever volume of storage is required. 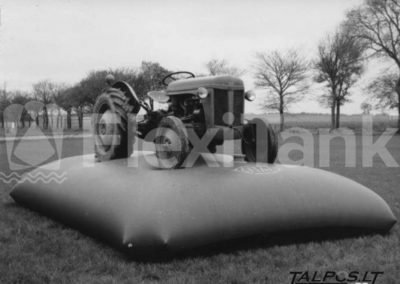 Even better, collapsible water frac pillow tanks can be acquired in half the time it takes to get a steel tank. Collapsible, lightweight, easy to relocate. almost no site preparation required. as every tank packs down to 1/10th of its filled size, one semi-truck can transport 27 tanks at a time reducing costs dramatically. collapsible tank bladders ensure complete isolation from surface soil and water, significantly reduce truck traffic to and from the site and increase site safety. This leads to a significant reduction in the carbon footprint of any frac site, as well as almost completely eradicating site containment issues which plague steel tank suppliers into the frac market. one Flexitank Frac Tank can store 250,000 litres (250m3 | 66,043 USG | 1563 BBLs (US). In a day, using a manifold system, multiple tanks can be set-up to provide whatever volume of storage is required. more abrasion and chemically-resistant than other materials, cold-resistant to -50F or -46C. 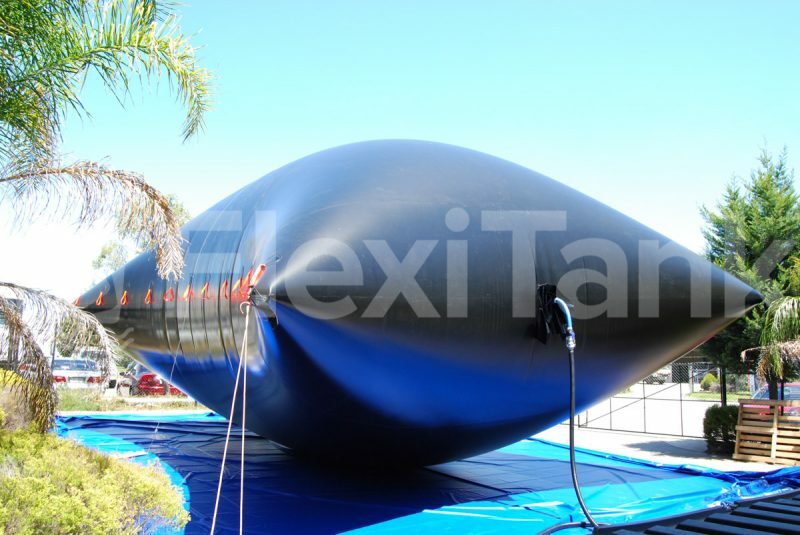 due to its lower profile, only 5’ (1.5 m) high when fully filled, the Flexitank Frac Tank offers good heat retention and low wind resistance. available in standard capacities of 250,000 litres (250m3 | 66,043 USG) or custom capacities, as per customer specifications. 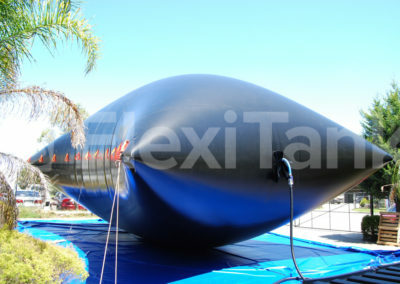 One individual Flexitank Frac Tank can store 250,000 litres (250m3 | 66,043 USG | 1563 BBLs (US). In a day, using a manifold system, multiple tanks can be set-up to provide whatever volume of storage is required. 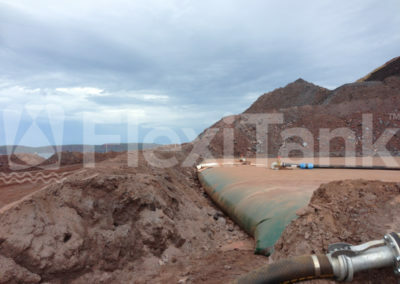 Even better, Flexitank Frac Tanks can be acquired in half the time it takes to get a steel tank. 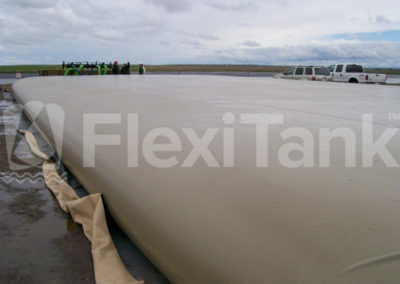 All Flexitank pillow tanks are built tough! 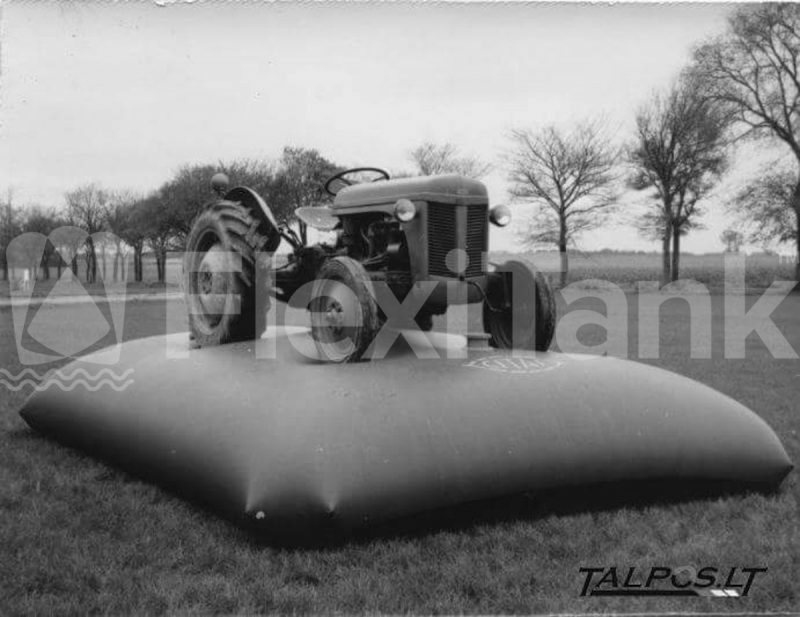 Want to know more about collapsible water frac pillow tanks?